Scoop.it is an easy to use web tool that allows a user to quickly create a newspaper-looking webpage with links to resources that go together. Each link is displayed as if it is an article in a newspaper with a title, image, and snippet of text. 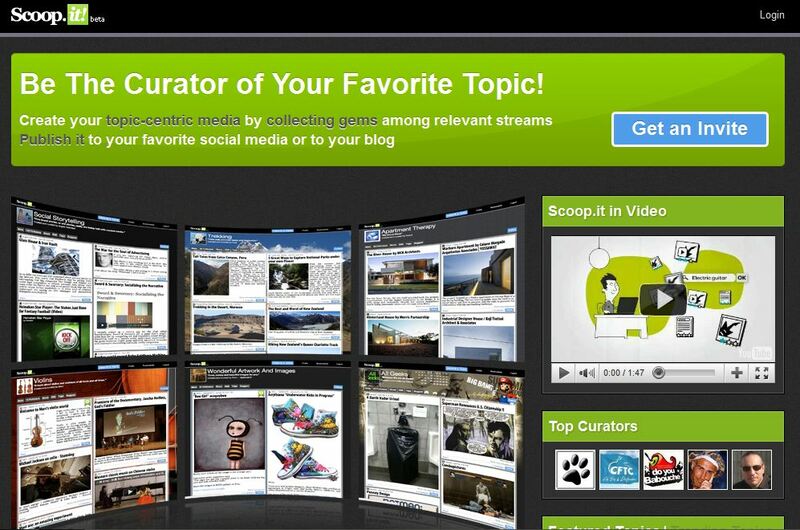 The Scoop.it website says… “Be the curator of your favorite topic” but really it could be the topic of your next science unit or expert topics for your WebQuest. First you need to create an account (free) to get started. You can include your Twitter and Facebook account information and Scoop.it will pull resources from those feeds that may fit your Scoop topics. To begin your own Scoop click the Create a Topic Button and fill in the title, description, language, and tags and you are on your way. You can add resources as you go from websites you have already found by using the Scoop It bookmarklet or you can include the suggested resources from Scoop.it. 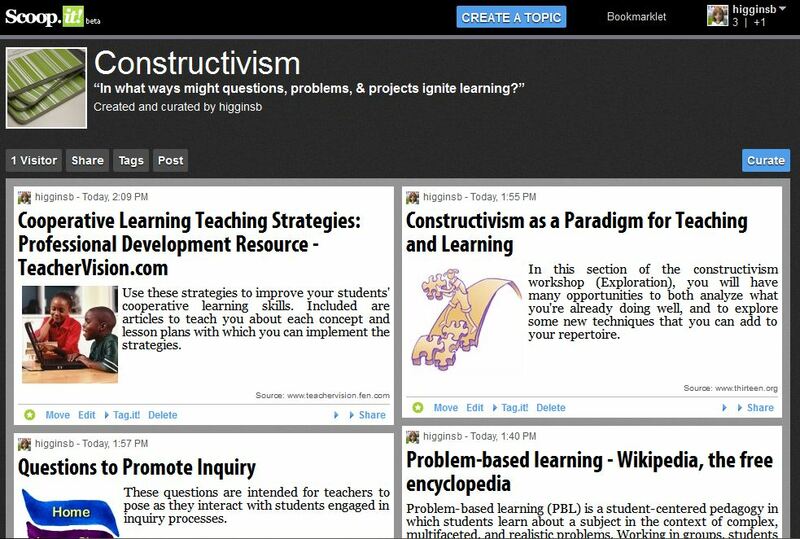 Due to the content that may be displayed on the curating page, this tool is a teacher tool. Once the Scoop is created then it can be safely shared with students by clicking “view topic” and then sharing that direct link. Scoop.it also allows sharing through Facebook and Twitter, visitors to make resource suggestions, or viewing the tags the creator has included. Like a blog, if you like what you see you can always “follow” someone else’s Scoop and see how it evolves over time. Here is the Scoop.it that got me interested – Edu 2.0 created by Steve Dembo. He created a page with what he believes are the best Web 2.0 tools for education. 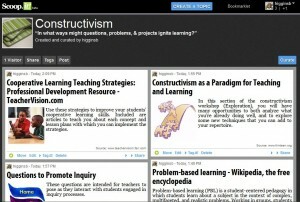 And in just a few minutes I created a Scoop about Constructivism & more. From their home page get an invite and watch their video on the front page to better understand how Scoop.it might benefit you, your instruction, and your students.